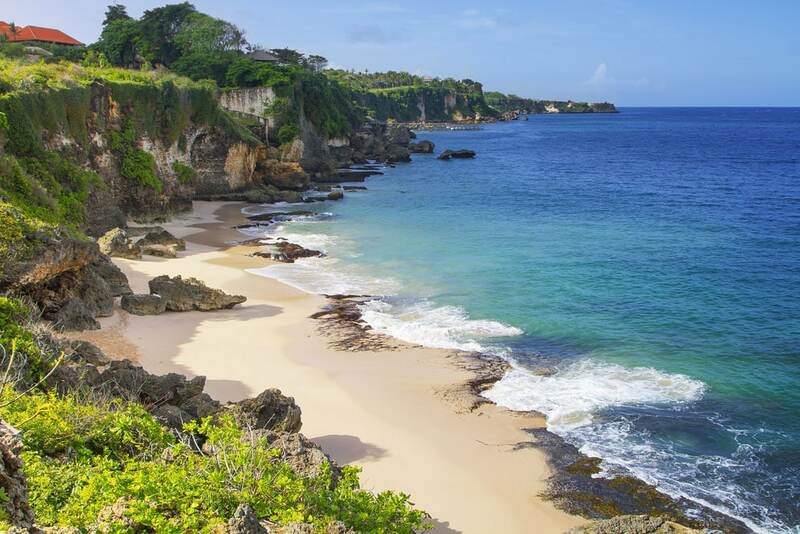 Bali, an island in Indonesia, is one of the most popular travel destinations – especially for the those who like the special atmosphere, the natural beauty and also for those who like to get good value for money. I admit, that I was not as blown away as I had expected – probably because, my sister and I did not choose the perfect area for us. While the island is small and it is easy and inexpensive to get around by taxi, choosing the best place to stay in Bali is something you should think about carefully. 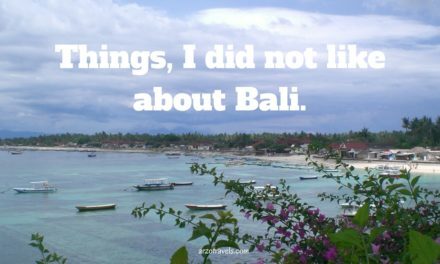 But there are many reasons to love Bali – especially considering the great value you get for your money in terms of accommodations. It really makes a different, if you enjoy parties or if you prefer some cam serenity etc. So, it is not only about the hotel you choose, but also about the best area in Bali which can make your Bali trip a hit or miss. One of the things I liked the most were the fantastic accommodation you can find – for good money. 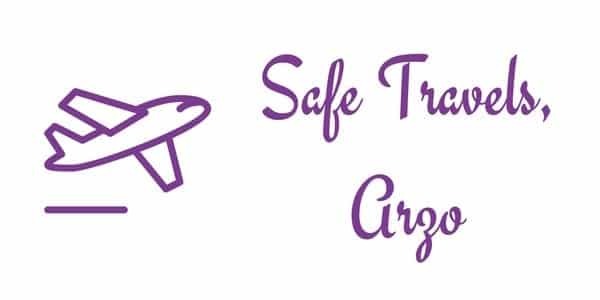 Compared to many other destinations you will find really nice accommodations for reasonable prices. 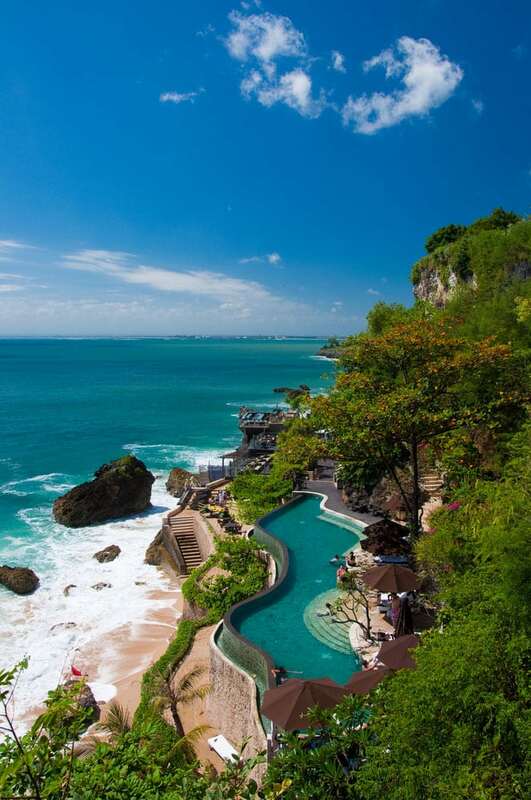 From nature trails to luxurious spas: Bali has something to offer whatever your budget may be. Here are best places to stay in Bali and the best hotels for each budget. Seminyak is a resort area in the south of Bali. 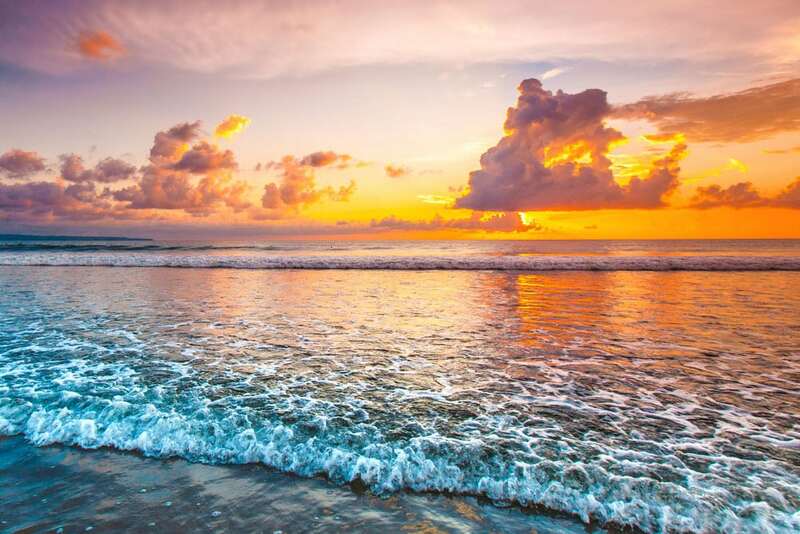 Bali is often pictured as a paradise island and Seminyak and its beautiful sunset beaches do not disappoint! In fact, Seminyak’s sunsets are legendary! The Balinese people often hold marvelous ceremonies on the beach. During the day an array of different brightly colored parasols and beanbags line the sand. Perhaps not what you would expect in Bali, but a truly unique experience. Seminyak is home to the best premier dining in Bali. It also offers a boutique and high-end shopping experience. Seminyak Square is the most popular shopping area for travelers. The region also has a myriad of sleek and sophisticated bars, clubs as well as other exhilarating nightlife. The area is one of the more modernised areas of Bali. However, if you are fascinated by ornate architecture and local history there is something for you. Beyond several steps lies a hidden gem. A classically beautiful temple. Petitenget Temple is quite extraordinary! Seminyak is ideal for students and those who are young at heart! Its modern exciting city vibes are perfect for the effervescent traveler. Annora Bali Villas comes highly recommended! It has it’s own private pool, highly attentive staff and has been described as ‘stunning’. However, take a look at the photo’s of this resort, because ‘stunning’ doesn’t even begin to cover how magnificent this property looks at night. Juada Garden provides luxury service on a mid-range budget. It offers rain fall showers and stone tubs. It’s ten minutes walk awaya from the nearest beach and some villa’s even come equipped with their own private pool. Favehotel Sunset is in a convenient location near Sunset Point Shopping Centre. It has it’s own pool and free Wifi for its guests. 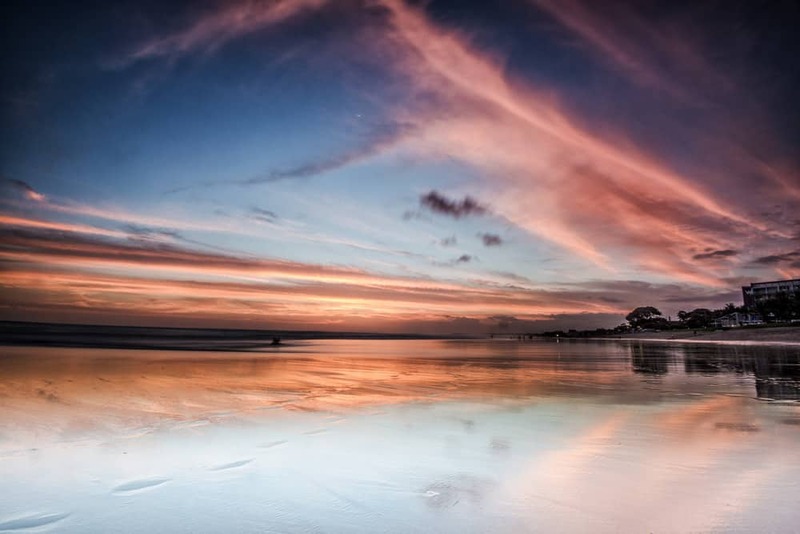 Kuta is the one of the most sought-after travel destinations in Bali. If you want to stay in Kuta I would suggest booking well in advance because its accommodation is always oversubscribed in the peak seasons. 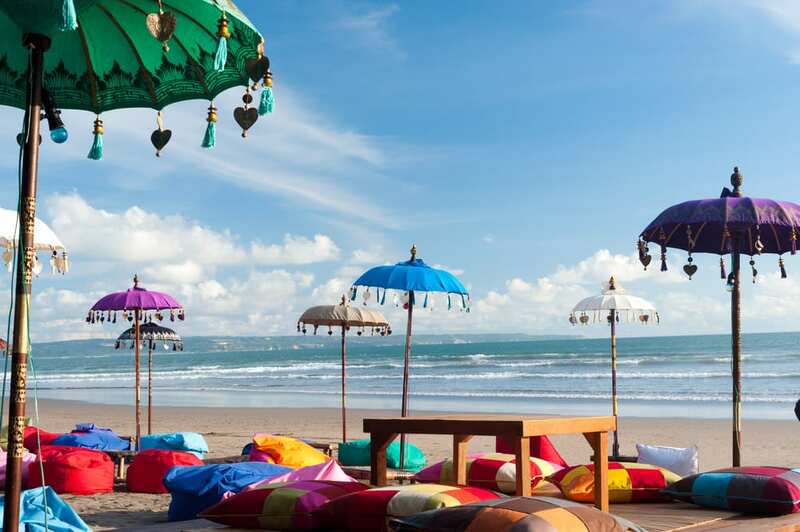 Kuta has been named one of the best beachfront in Bali. It’s known for heavily discounted prices on well-known big-name brands. Shopping, surfing and partying and the go-to pass times in Kuta. In fact, Kuta is the surfing hotspot of Bali. Kuta is also home to several resorts that provide great family holiday options. Kuta also has one of South East Asia’s premier water parks, Waterbom! Have you ever wanted to try a vertical bungee jump? Kuta has one! There’s also a great nightlife in Kuta. So, if you do not enjoy wild party people then this probably not the best choice for you. It is well renowned for its part-centric atmosphere. Sky Garden Rooftop Lounge showcases one of the best Bali skyline views available. 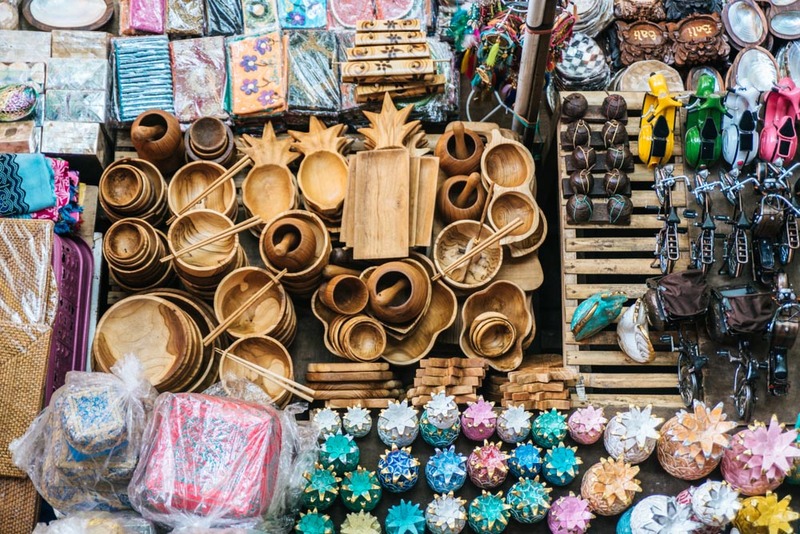 For those who are more interested in the creative side of this South East Asian holiday destination, Kuta does have its own art market. It’s a wonderful place to pick up souvenir pieces to decorate your home with. Kuta is perfect for the avid party animal. However, it also serves as a brilliant holiday destination for families and those with a passion for water sports, fun and adventure. Sheraton Bali Kuta Resort is within walking distance of just about anything and everything you could want to do in Kuta. The staff speaks English and are often mentioned lovingly in the resorts reviews. Couples are the resorts most frequent clients, however, children under 12 can often stay free of charge! Grand Inna Kuta is right on the beach front. The property has 3 pools overlooking the coast line. The service and food offered by this hotel is said to be absolutely brilliant. Gora Beach Inn is a minimalistic palm tree paradise that doesn’t need expensive facilities to show you how to have a relaxing holiday. The hotel also offers superior king sized bedrooms for little prices! Legian is one of the quieter suburban areas of Bali. The name ‘Legian’ means ‘sweet’ in Balinese and Legian is certainly sweet. The region has a tranquil atmosphere. The area is busting at the seams with untouched cultural heritage. It provides the perfect sanctuary for those looking to experience the more natural side of this historic and mysterious island. The area of Legian is away from the hustle and bustle of the other major tourist locations. Legian serves up some of the most tranquil and peaceful scenes that Bali, and even the world has to offer humankind. There is a small amount of locally organised activities for visitors. Some evenings fire spinners perform displays on the beach. It’s an extraordinary and rare experience. Legion is close to busy neighboring regions Kuta and Seminak and is a faultless choice for those seeking a relaxing and romantic trip into the historical, natural and cultural side Bali. It is also an ideal location for those interested in local history. Amadu Bali Villas offers it’s visitors breathtakingly beautiful residences within 12 minutes’ walk of the beach. Spacious modern rooms, double showers and a house girl to serve you drinks by the pool are but a few of the properties endless luxuries. Grand La Walton is a simple yet modern hotel. It is within walking distance of the local art market and close to many convenient stores, bars and restaurants. Sticking with the theme of convenience the hotel also has a cash machine located on-site for its visitors. Loft Legian Hotel provides excellent value for money. Although modern with less traditional interiors, the artwork and decoration in the hotel provide a more current insight into the experience and life of Bali. Ubud is the buzzing creative heart of Bali that never has a dull moment. From a non-stop party life to incredible architecture, somewhere in this region is something for those of all interests. Ubud has a shopping scene, but not containing designer shops. Instead, this locality offers art and jewellery. These creative goods are one-offs and something you will not find elsewhere. Several of Bali’s well-know artists lived and worked here. There is also no shortage of galleries and museums to showcase both the old and new art of the Balinese. Ubud is home to one of Bali’s royal families. Aptly, there is a majestic palace located in the city centre. Of equal grandeur are several temples situated throughout Ubud. The other favourite residents are the long-tailed Macaque’s of Ubud Monkey Forest! The forest is community managed and easily accessible. 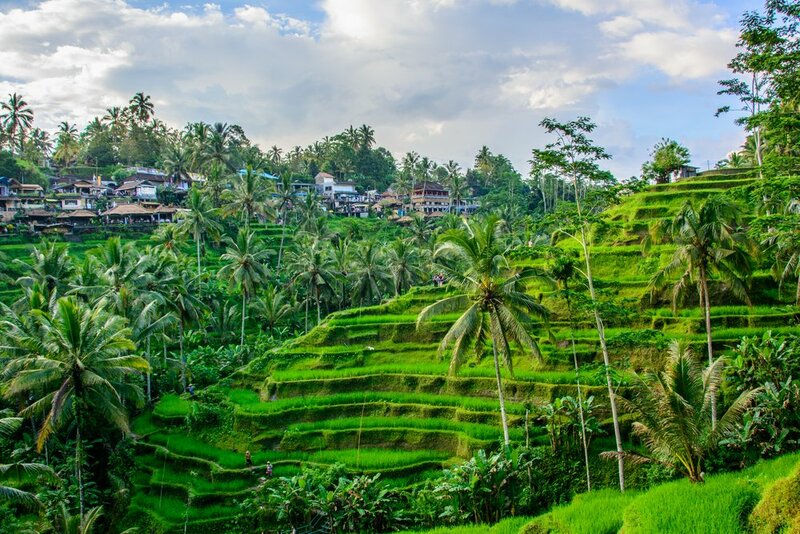 Ubud is a must for individuals who seek to find the creative and unique soul of Bali. Viceroy has some of the most amazing views from any pool or holiday property in Bali. The Viceroy also provides villas that come with their own pool included. It is a peaceful resort and has been described as ‘110% paradise’. Check out the pictures of this resort, 110% may even be to low! Puri Sebali Resort is known for its warm friendly atmosphere. The interior gives off a traditional vibe infused with a bit of modern sleekness and style. Champlung Sari might be a budget hotel, but how many budget hotels do you know with monkey’s hanging around them? Close to the Monkey Forest, monkeys are the residents that never check out! This holiday destination brings you a classy getaway with an extra touch of style. Luxury resorts and high-end spas will ensure that each day melts effortlessly into the next. Motorbike hire is a popular method of transport in Jimbaran Bay and brings the thrill of Hollywood to the non-stop pampering and relaxing pace of life. However, Jimbaran Bay does possess some more traditional cultural character as well. It is a fishing village. The restaurant in Jimbram Bay reflect this! Its streets are filled with fish bars and cafes – talk about making the most of your local resources. If you like seafood Jimbaran is like heaven on earth! Are you staying in self-catering accommodation? You can pop down to the fish market in the neighbouring village to pick up something for your dinner. Jimbaran Bay is a fool proof holiday choice for those who enjoy a luxurious trip! Ayana Resort and Spa treats you like Indonesian royalty and its interiors certainly look like a palace! Pools across several layers, spa’s, seaside bars and 4-poster style curtained bed. This resort has it all. Villa Balqteluisse provides the ultimate personalized experience. It’s said to have perfect attention to detail from the spa and wellness centre to the aroma in the rooms. Bunga Desa Homestay may be a budget option, but it allows you to experience Bali’s gorgeous nature-based architecture. The property is covered from top to toe with natural building materials and décor. For those interested in an eco-based lifestyle this homestay provides a more simplistic and authentic Bali lifestyle than any luxury hotel. 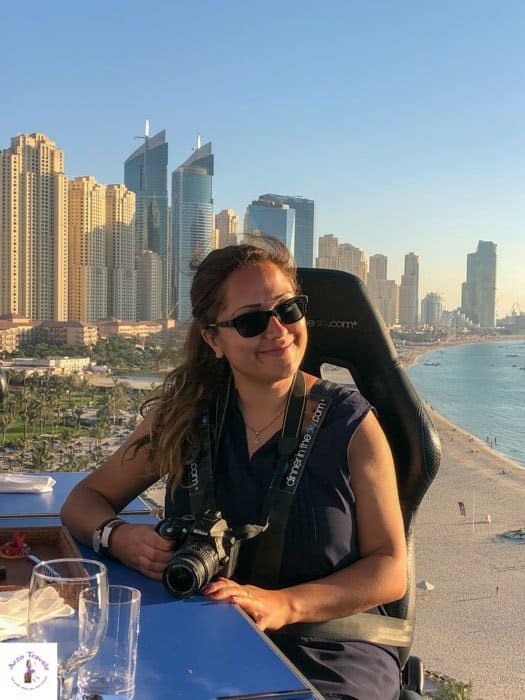 So, hope you have gotten a good overview of the best areas in Bali and have found the perfect place to stay for your trip. Which region takes your fancy? Let us know!